Marketers rely on product innovation to tell a compelling story to customers, which is why marketing teams need to be constantly up to date with what’s on the product roadmap. Knowing the roadmap means staying ahead of how you’ll bring these new products or features to market effectively. 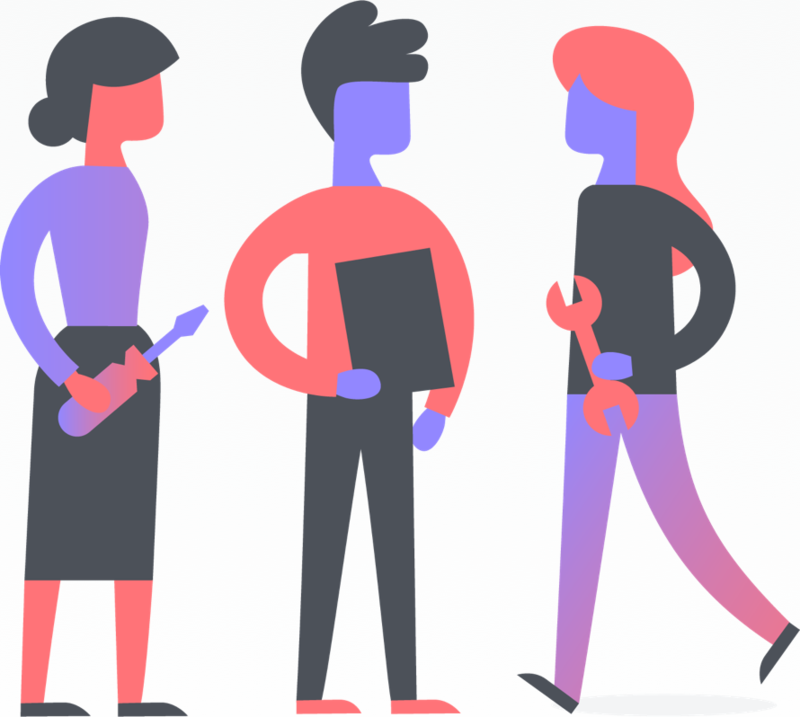 Use one project in Asana as the source of truth for the product roadmap across your product and marketing teams. Sales and other teams across the company can also follow the project to stay informed about launch plans. 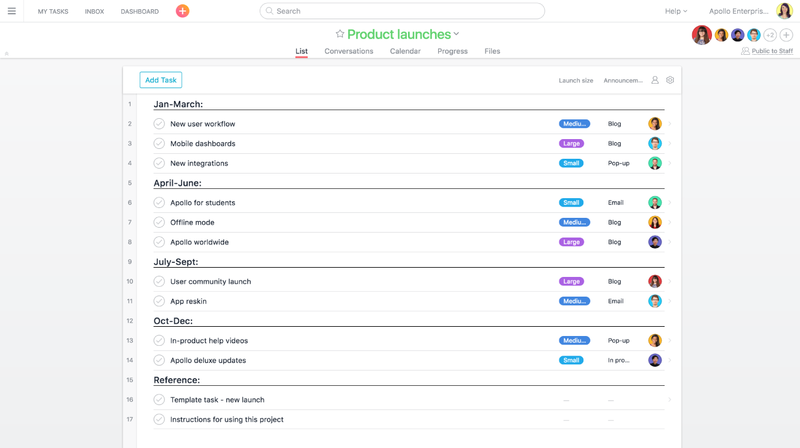 Using Asana to track your product launches will ensure everyone knows what is happening, when it’s happening, and who’s responsible for all the different pieces of work. 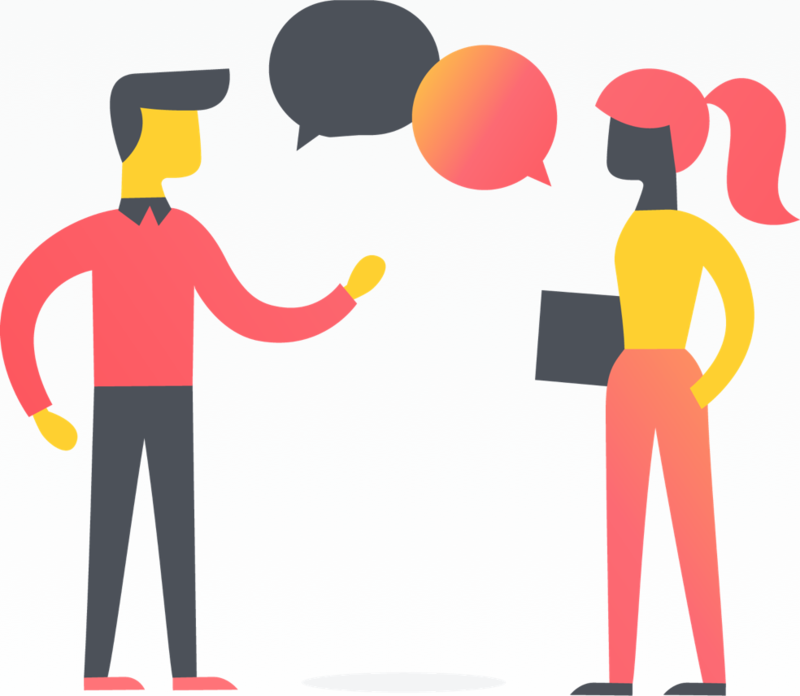 Follow along with the article to build your own product marketing launch project, and take a look at other resources directly below. Skip the setup and try the Asana-created product launch template. Create a new project. Name it “Product Roadmap” or “Product Launches”. Add the project to a public team, so it is visible to the entire company. Add sections based on release dates (e.g., month, quarter, sprint cycle). Create custom fields by clicking the blue Add Custom Fields link at the top of your project. You can use custom fields to show if you will do marketing for the release, type of announcement/channel, launch size/importance (small, medium, large), launch estimate date, etc. Create a task template that the product team will copy for each upcoming product release. 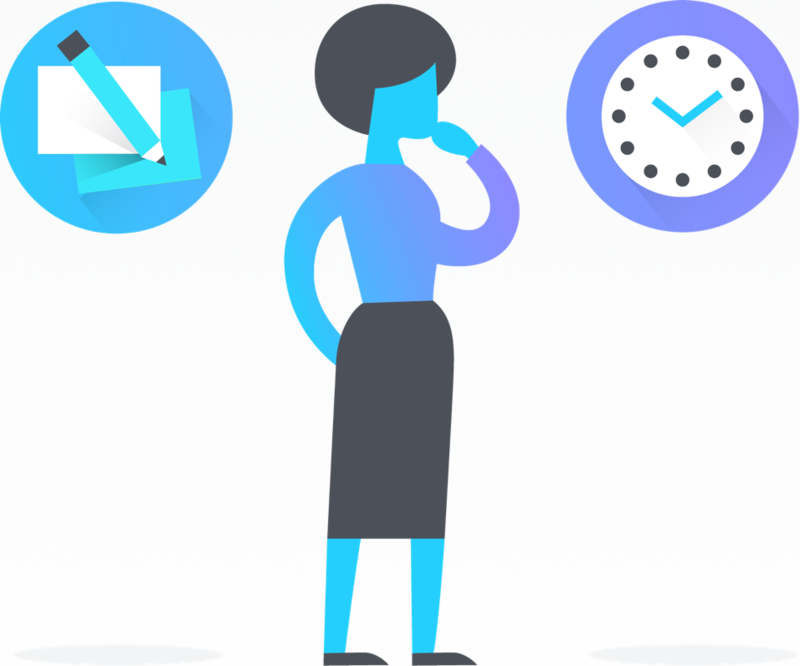 Name the task “Duplicate me - Product launch template.” Add subtasks and assign them to the appropriate teammate for each new product release. When your product team decides to start building a new feature, they should duplicate and fill out the template task. They should include basic information in the task description, like the shipping schedule and an overview of the product functionality. They should also keep the followers of the template task, add a due date, fill out appropriate custom fields, and move the task to the right section of the project. Invite members from other teams to the project. Teammates will be notified in their Inbox when tasks are created in the project so they can stay updated on product changes. When product ships, complete the task and celebrate! If tasks in your launch planning are dependent on one another, you can mark tasks as dependent on one another so they are completed in the right order. You can even mark several tasks as dependent on another task. 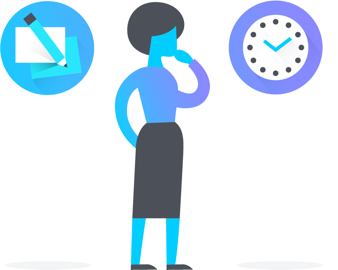 In the example above, you could make all subtasks dependent upon “Launch messaging.” Once the messaging task is complete, task assignees of dependent subtasks will receive a notification. Your copywriters, social media managers, and email marketers can all begin on their respective subtasks and keep the launch on schedule. Create project plans that show how each piece of your launch project fits together and adjust your plans as work changes to hit your deadlines with Timeline. Use start and due dates to see how they factor into the overall launch schedule and ensure deadlines are realistic. If you need to move tasks them, just drag and drop them to adjust your plan. You can also make sure that doing so doesn’t impact any dependencies. Dependencies and Timeline are critical to plan your roadmap. 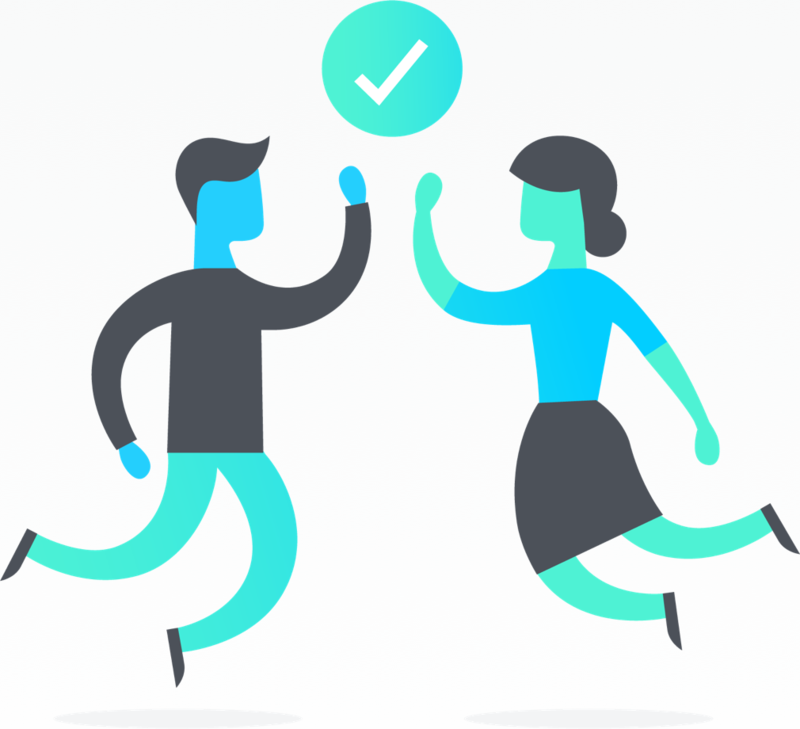 See how they can work for your team by trialing Asana Premium for free. If a launch becomes too big for a task, convert the task to project from the task actions menu. Keep a reference task in the launches roadmap project that links to the new project so the launch is accounted for in your roadmap. Start conversations in the Product and Marketing teams to let everyone know how to use the product roadmap project. 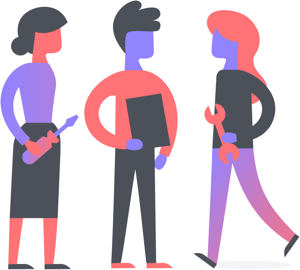 Keeping track of your product roadmap in Asana will ensure your team is prepared to take a product or feature to market. Your entire team will know where to look for upcoming product releases and real-time changes to the launch schedule.